Quality Controlled Manufacturing Inc. in Santee is a relatively small company that manufactures components for some pretty big clients in the aerospace, power generation, military, marine, fuel and heavy equipment industries. Although the firm has only about 100 employees, it has been approached by officials from Texas, Virginia, Florida, Kentucky and Idaho, asking whether it might be interested in relocating or expanding into their states. "This is not really new, but it's getting more sophisticated," CFO Rick Urban said. "They're fairly well-armed when they come to town, laying out spreadsheets that show the cost of things like taxes, real estate, insurance and wages in their states compared to San Diego." So far, the company, which twice made Inc. Magazine's list as one of the 5,000 fastest-growing privately held companies in the United States, has resisted the move. "And if those states are coming to us, who are just peons, you can imagine what kind of pressure they're putting on the bigger companies," he said. Yet despite all the pressure, manufacturing has continued to grow in San Diego County -- after taking a major beating in the past three recessions. By 2013, manufacturing output in the county was 12 percent ahead of where it was in the recession, compared with 3 percent growth for the economy as a whole. Because so much manufacturing is mechanized, factory job growth has been more sluggish, but hiring has been on a slow but steady rise for the past five years. Last year, local manufacturing employment grew 1 percent to an annual average of 96,400 jobs — the highest level since 2008. So with the high cost of doing business in San Diego — and the pressures to move to other states — why does manufacturing keep growing here? How do the disadvantages rack up against the advantages? Those were among the questions posed by a recent panel of manufacturers who recently met for a roundtable discussion at the Daily Transcript sponsored by the law firm Pettit Kohn Ingrassia & Lutz. Urban said that the chief advantage for his company is its proximity to clients, ranging from shipbuilders to drone makers. Many of those companies have been here for decades and are likely to remain, partly because of the large military presence. However, some have been opening branches in other states recently, and Urban says that there may come a time when he will have to expand away from San Diego County to remain part of their supply chain. Dan O'Leary, vice president for manufacturing at D&K Engineering, which handles R&D, development and manufacturing services for many clients, said his company, too, is tied to San Diego because of its client base. D&K's key customers include producers of medical devices, military systems, kiosks and printers. "The best thing for us is that a lot of medical companies come to San Diego and the Bay Area, so it's important for us to stay close, although sometimes I wish we were a little further up north," he said. He said that when some of his clients talk about moving — especially overseas — to cut costs, he tries to talk them out of it. "They say they can't ignore the labor rates, but we say that we think ours are competitive and that there are a lot of other factors involved, including the cost of starting up overseas, quality issues, the risk that your product will get delayed or won't work the way it's supposed to," he said. "In the end, your reputation for quality is at risk and once you lose that it can be impossible to get it back," he said. Bryan Pate, co-founder and CEO of ElliptiGO, a manufacturer of outdoor elliptical bikes, said that his company's location in Solana Beach fits in well with the outdoor image of the firm and makes it easier to attract the type of employee it wants. He said that gives it a major advantage over his biggest competitor, in Fresno, even though it operates in a lower-cost market. "The best part about being based in San Diego is the quality of life," said Susan Long, president and CEO of Diving Unlimited International. Plus, for her business, which produces custom-made diving gear, being near the water helps, especially because Navy divers are among her chief clients. Long says that the worst part of doing business here is the cost of manufacturing. While the typical salary in San Diego may not match the local cost of living, it is usually higher than in other locales — especially overseas locations such as Poland, where one of Long's chief competitors is based. Long said that she wards off the competition by emphasizing the high quality of her products, but the cost differential keeps widening, especially with the dollar gaining in strength against the euro and other currencies. In the meantime, regulatory changes keep raising the cost of doing business. "My concern is that someday the Legislature will enact something that we just won't be able to handle," she said. Nancy Estalano, CEO of San Diego Leather Jacket Factory, said labor costs are an issue for her as well, since factories in Pakistan are paying workers $1 to $2 a day to churn out leather jackets. Like Long, she has been able to maintain her niche in the market by emphasizing quality. And so far, most of her clients — including motorcyclists, pilots, and police and military personnel — have been willing to pay the higher prices. But with workers who range in age from their mid-50s to mid-60s, she worries about the day her workers retire, since she hasn't been able to find enough young people to replace them. "In San Diego, it's hard to find a young person who would be willing to go through training while making an entry-level wage of $14 per hour," she said. Several other manufacturers agreed that the aging population will leave a huge hole when it retires and that the up-and-coming millennial generation doesn't seem ready or willing to fill it. Urban said that one answer is to provide continual on-the-job training, to make sure that younger people are engaged with the company by training for multiple tasks. "We all struggle with the millennials," he said. "They have to be constantly challenged. Training gives them new skill sets that can keep them interested in the job." Urban's company has launched a training program for its own workers and outsiders, with a commitment to ensure that 80 percent of the students find or maintain jobs at the end of the program. Funding has come from California's Employment Training Panel and the U.S. Department of Labor as well as involvement from community colleges and the East County Development Corp.
O'Leary said D&K Engineering is also offering on-the-job training with help from South County Career Center. He said that the training fits in well with the company's "lean" culture, which he said doesn't necessarily mean laying off workers, but rather maximizing the value of existing workers by educating them and providing them with new skills, which has helped keep millennials involved. 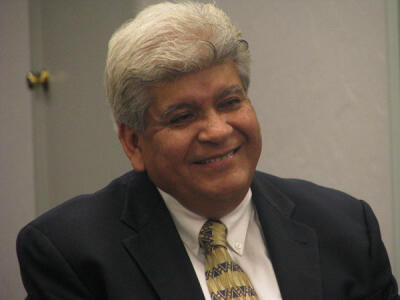 Victor Castillo, director of Southwestern Community College's Center for International Trade Development, said he sees manufacturing training as a real growth area for schools. Rick Urban, Chief Financial Officer, Quality Controlled Manufacturing, Inc.